Learn the most spoken language in the World! What do you think the most spoken language in the world is? No, it’s not English! Mandarin is the most spoken language in the world, with English not too far behind. This being the case, learning to speak Mandarin can open doors for you globally and make a positive impact on your career. 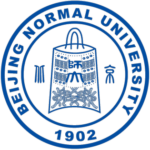 Study abroad at one of China’s top universities, with all the arrangements taken care of for you, and learn Mandarin faster than you ever thought possible! With Go Abroad China’s university Mandarin Chinese courses, you get to study Chinese for credits at our partner universities/colleges, some of the best in China all while experiencing China like a local in one of our vibrant cities and complete your qualification. 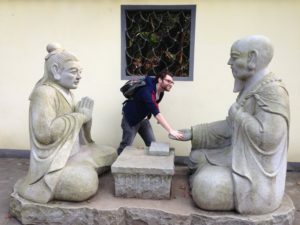 Studying Chinese in China will give you the chance to culturally explore some of the world’s most diverse cities while developing your sense of independence (and you’ll be able to transfer your credits to your current university once you’re done). You can choose to come and learn Chinese from a minimum of one week through to a 12 months or more, from beginner to advanced levels. Here’s your first lesson: China in Mandarin is Zhongguo! 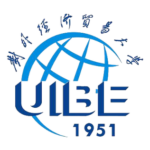 Go Abroad China partner with the top universities in China to provide you with internationally recognized language classes that accelerate your mastery of the Chinese language. Learn together with fellow students, business people and expats from across the world. Classes can be supplemented with one-on-one tutoring or additional small group classes. Students can choose a standard 20-hour study week or an intensive 30-hour study week. Classes are taught by qualified and experienced teachers who are bilingual, comprehensively trained, and who have years of Chinese teaching experience. Go Abroad China offer programs in a number of Chinese cities, giving you the chance to choose the type of experience you would like. Join us in Beijing or Shanghai for the hustle and bustle of a modern city, or go for something quieter in Nanjing, Dalian is great for those that love history while Hangzhou is perfect for those who love natural beauty. We have something for everyone. 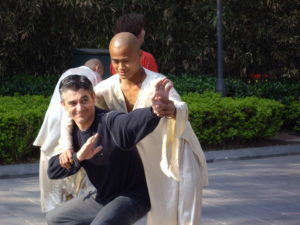 Go Abroad China programs include a range of activities to keep you busy exploring and getting to know new people. 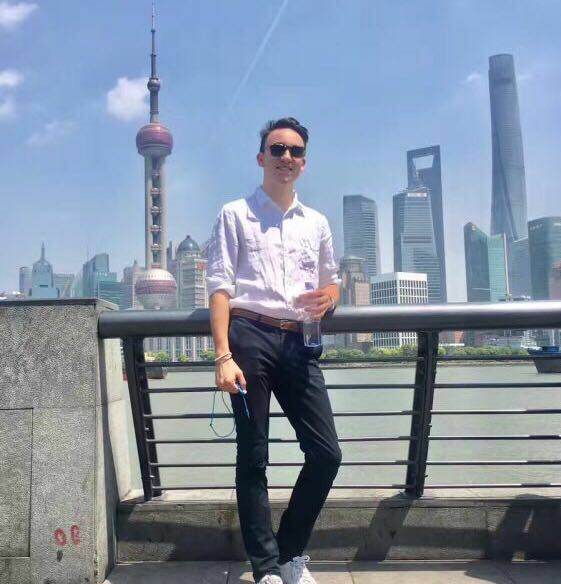 From visits to the top historical landmarks such as The Great Wall, The Forbidden City or The Pagoda, to social activities and adventure outings such as hiking or rock climbing. Experience the culture through cultural activities such as calligraphy, Kung Fu, Thai Chi or local cooking classes (and more). Meet the locals and practice your Mandarin while you live amongst them, and while you’re at it you may just get to learn the local lingo! 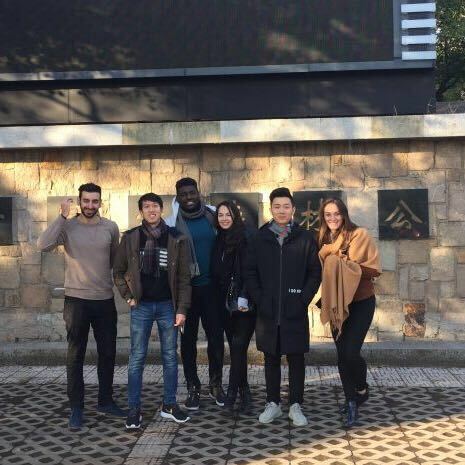 The Go Abroad China team are here to support you throughout your experience, from helping you through your application to 24/7 daily support during your stay here in China and even once you’re home through our Alumni team. Our goal is to ensure that we’ve taken care of everything so you have a hassle-free stay. 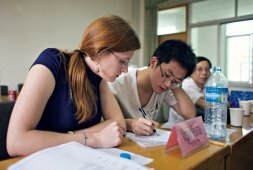 For the more advanced student, our courses will help you develop your proficiency with more complex Chinese expressions. 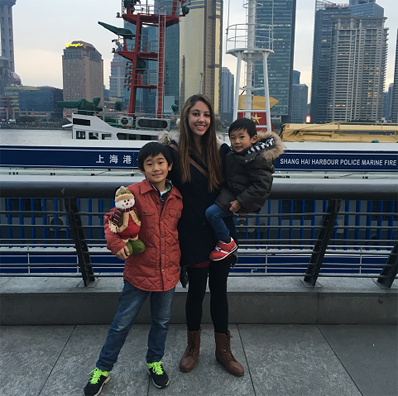 Our Chinese Language immersion programs integrate all aspects of the Chinese language: reading, writing, speaking, listening, grammar, phonetics, and vocabulary. We cover topics from daily situations, culture, and society to history and business so that you get to live the language. 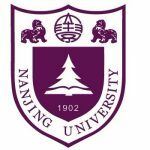 We use teachers who are highly experienced and professionally qualified Mandarin native speakers, with a university degree in Teaching Chinese as a Foreign Language. Tailor your experience, and master the Chinese language in our exciting and comprehensive language immersion program… choose your preferred city, the length of time you want to study Chinese for, the type of accommodation you would prefer and even the time of year you’d like to come! You’ll go home feeling like a whole new person – get to know yourself, study with and befriend other international students from across the globe, learn to think critically, gain global perspectives and open doors to a whole new future. Combine your intensive Chinese language course with an Internship to gain invaluable work experience while you are here. 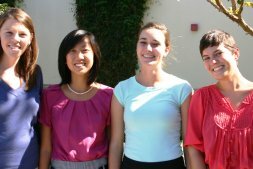 Find out more about our internship programs. 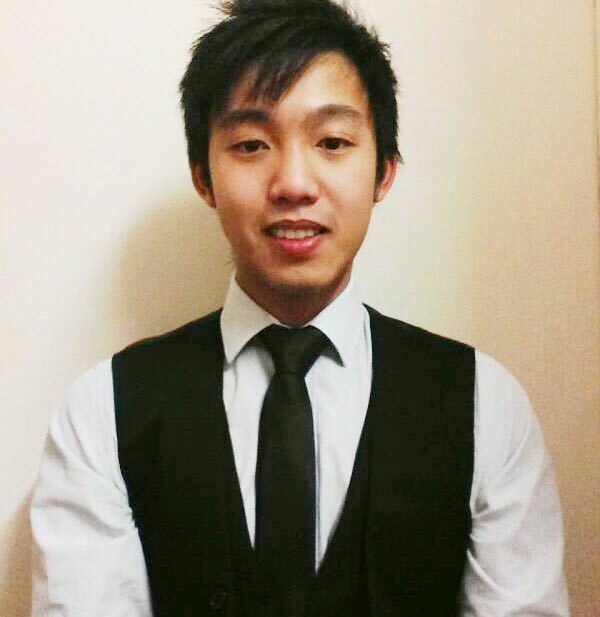 Becoming a Medtech Entrepreneur -- What is Bio design? and gain a fuller experience. Our team will help and support you throughout the process; from your application through to visa support, planning your stay, organizing your accommodation, adding in cultural and social activities, ensuring you are safe, comfortable and looked after throughout your stay. Add in some extras like volunteering and internship, all organized for you. GAC are here to ensure you have a hassle-free and exciting time in China. A balanced yet comprehensive curriculum integrating all aspects of the Chinese language: speaking, listening, writing, grammar, comprehensive Chinese, extensive and intensive reading (including reading newspapers), classical Chinese, Chinese culture, and Chinese affairs. These elements will vary slightly in intensity depending on your Chinese language proficiency and your level of study, i.e., standard or intensive. There are a range of programs to choose from, from classes for complete beginners to classes for those who have studied Chinese before. 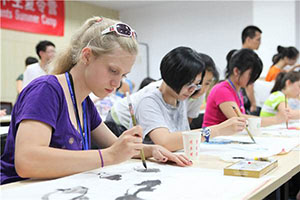 The Standard Chinese Language program has 20 hours per week; the Intensive Chinese Language program is 30 hours per week. 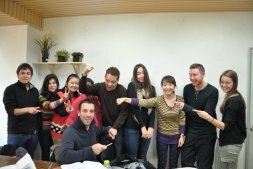 Our Language Exchange Program with native speakers ensures you get plenty of practice. 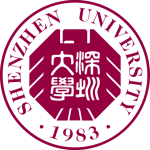 Classes are taught by Professors and instructors who are native Mandarin speakers with degrees in Chinese Teaching and experience spanning many years. Short-term program: 4 to 12 weeks. Long-term program: a semester or full academic year. 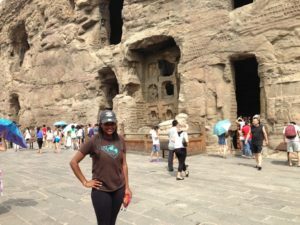 The Go Abroad China Chinese program includes cultural activities, social events, and guided tours designed to broaden your Chinese language skills and cultural awareness. 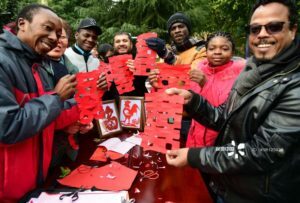 Go Abroad China offers you the opportunity to enhance your time with us by making a positive impact on the community through volunteering. Have a chance to help out through a range of meaningful community support and volunteering positions. Go home feeling proud that you’ve improved the lives of others. 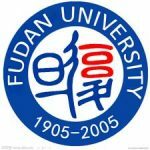 Can I receive university/college credit points for work completed on my Mandarin course? 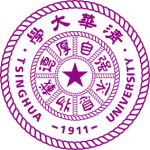 Go Abroad China places will place you in an internationally accredited university; therefore most universities outside China accept these credit points. Most of the Go Abroad China past participants have successfully transferred the credits that they earned here to their original universities in their own country. Go Abroad China will assist you in transferring your credit points too, as long as you comply with each university’s pass rates and points. It’s important to double check with your destination university about credit transferal options and requirements. 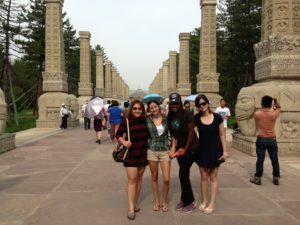 Join other international students in our popular university study abroad programs. Learn about yourself, make amazing new friends, learn a new language, gain experience, and take your life in a whole new direction! Prepare yourself for endless adventures in the exciting city of Beijing, China, where you never know which century you’ll be approaching around each corner and business is booming. Lose yourself in the excitement of China’s largest city where you can experience living in a vibrant city while studying abroad in a competitive, fast-paced environment. Experience ancient history for yourself in the home of the Ming Dynasty in Nanjing, the second fastest growing commercial area in Eastern China, right after Shanghai. Come and see some of the world's most modern buildings, shop till you drop, and the home to many tourist attractions like the 'Window of the World', home to the replica of the Eiffel Tower. Charming European styled Tianjin is a large, booming city offering a mix of laid-back living, history and beauty. Tianjin is a vital gateway to the sea for Beijing, which is only a day trip away. Autumn is a mild weathered time in China, it's a time rich with colour. Lasting from mid-October to early November, Fall is a great time to come and see our cities, enjoy the autumn festivals and enjoy our immersive short-term language programs which will have you speaking Mandarin faster than you ever believed was possible.